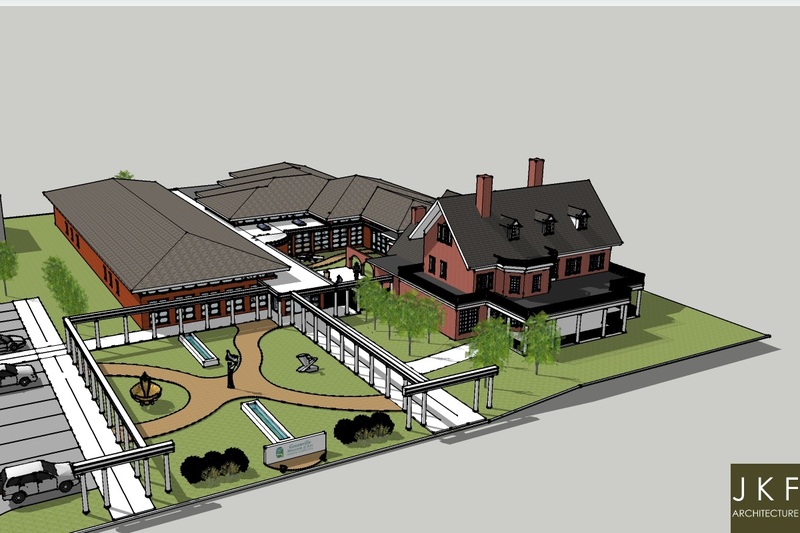 JKF ARCHITECTURE was commissioned by the Greenville Museum of Art (GMA) Board of Trustees to develop a master plan concept that renovated and expanded the footprint of the Museum at its Uptown Greenville location (802 Evans Street), while preserving the historical integrity of the original Flanagan Home (circa early 1900’s). The Plan’s proposed amenities include increased gallery space, more room for back-of-house operations (exhibition prep, shipping and receiving, etc. 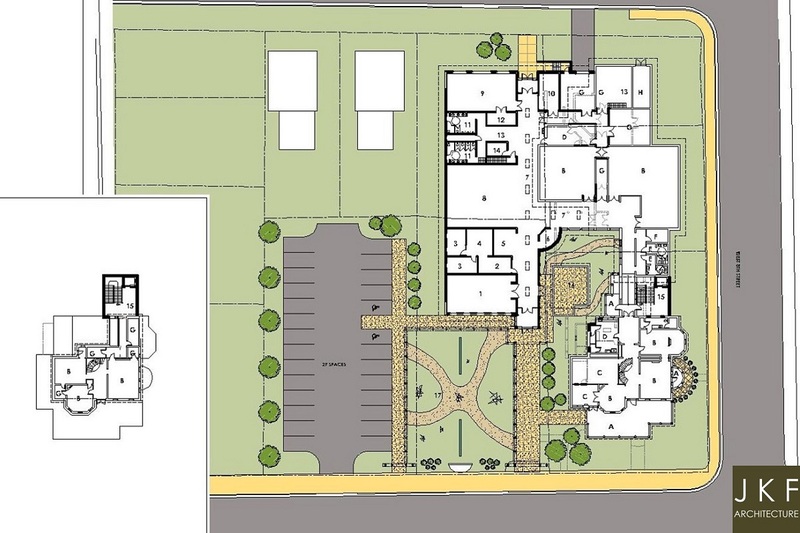 ), new classrooms for educational programs and community outreach, customer-friendly administrative area, gift shop, and enhanced outdoor space for both public and private events.